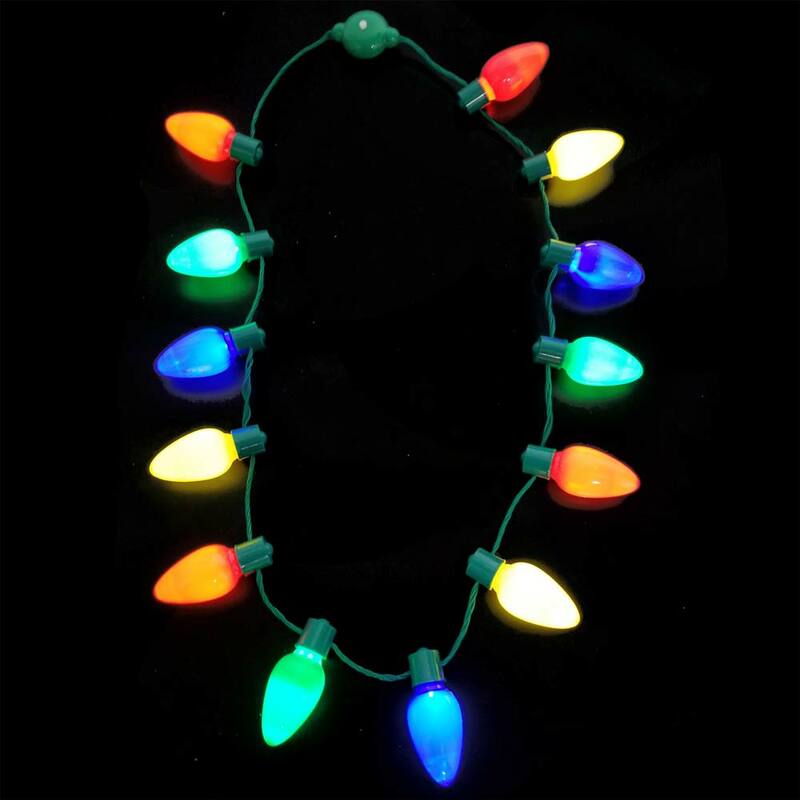 13 Jumbo Bulbs 2.5" x 1"
These jumbo Christmas Bulb necklaces are the hottest party accessory on the market today! 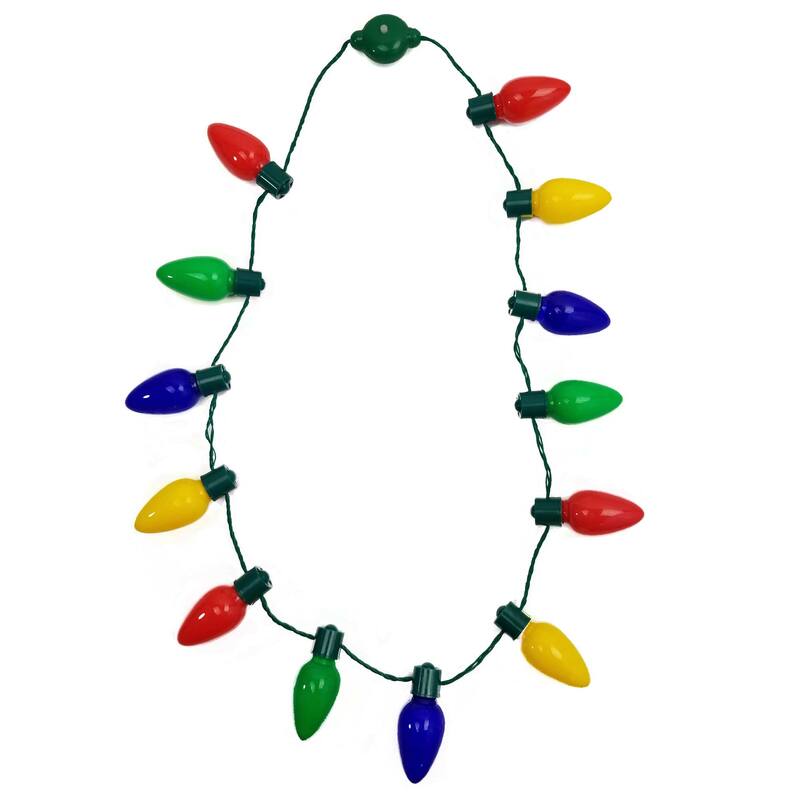 The large garland is 38" diameter and features 13 jumbo bulbs, 2.5 inches long and an inch across, in red green blue and yellow colors. 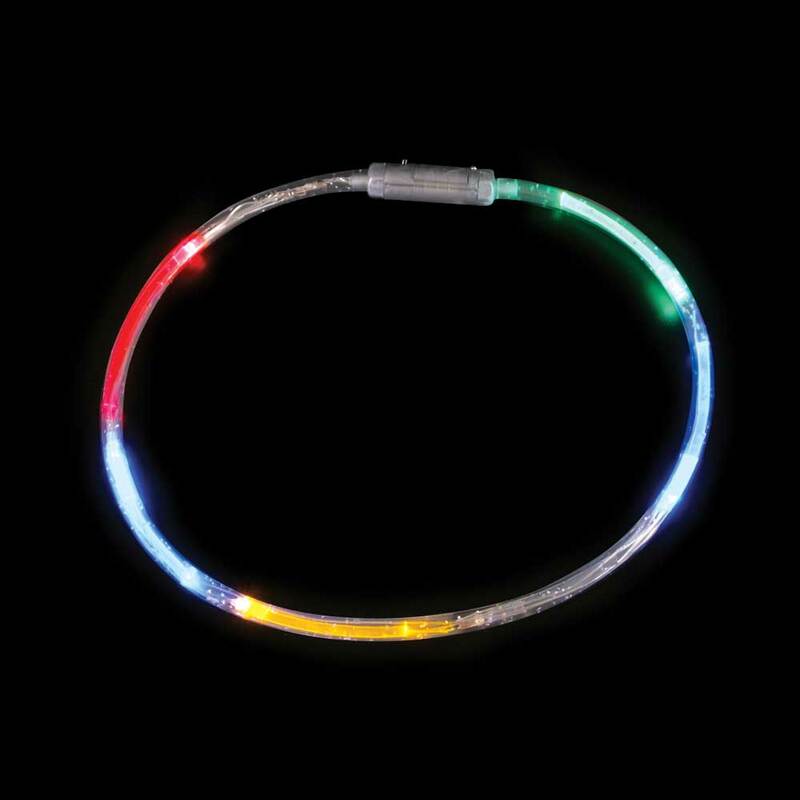 Push the button to cycle through 6 different modes, including varying blinking, strobing, fast flashing, pulsing, varying flashing and solid on. 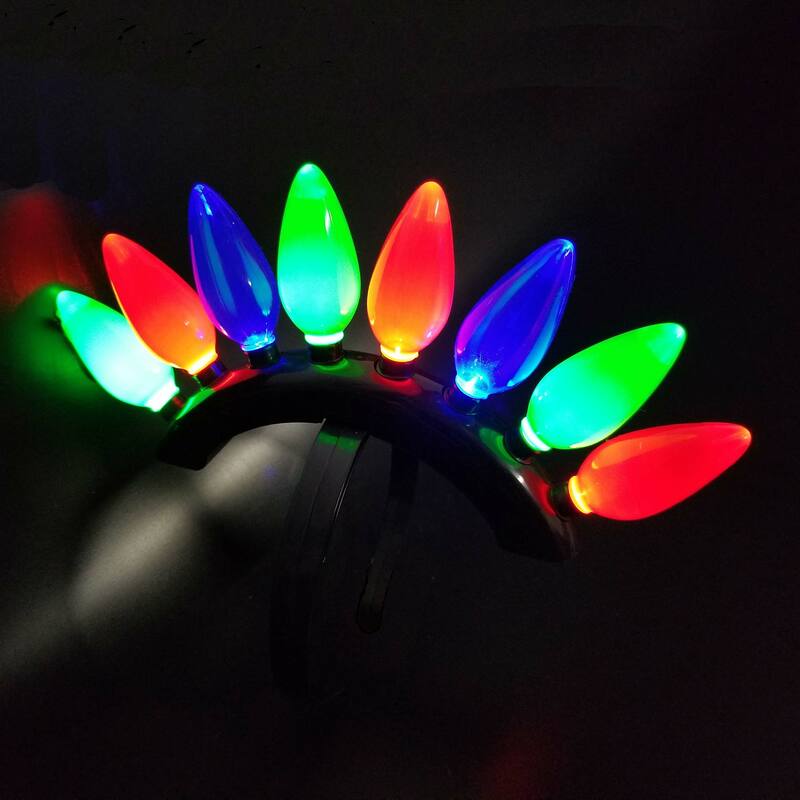 Powered by 2 replaceable CR2093 coin batteries, (small screwdriver required.) 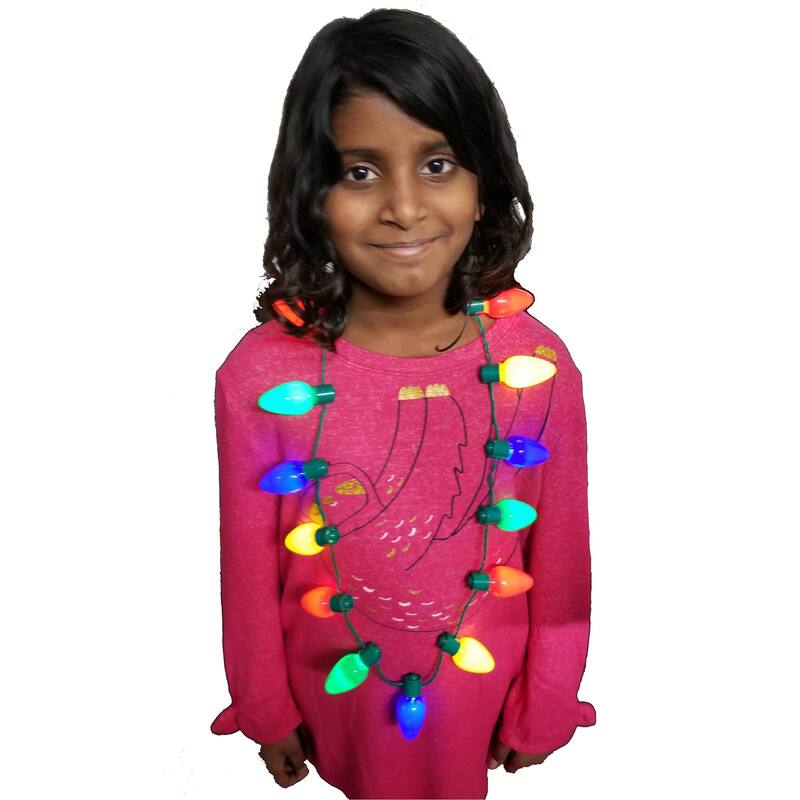 Be the star of the party with this amazing, fun necklace!